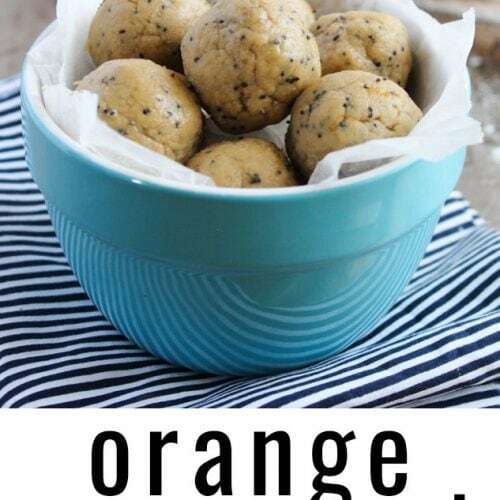 Pump up the protein in your snacks with these Orange Poppyseed Protein Bites! 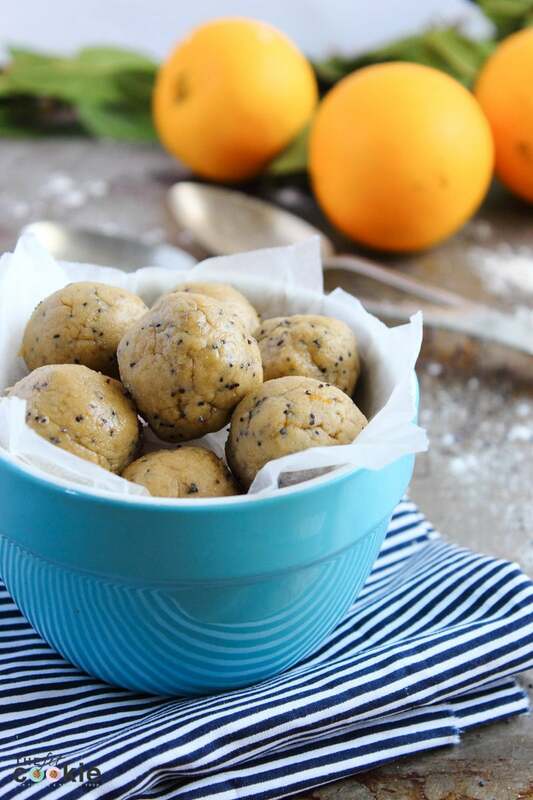 They are packed with dairy free protein, gluten free, no-bake, and ready in minutes. What is the best thing about holidays? My uncontrollable ability to eat and eat… and eat! Holiday’s make you lose all sense of time, which is a beautiful thing when you can have breakfast three times in a row – joking, but in all seriousness… this bag of chips beside me is mysteriously disappearing… fast! Holidays are full of coffee dates, breakfasts and lunches with friends… and my down fall… constant snacking. 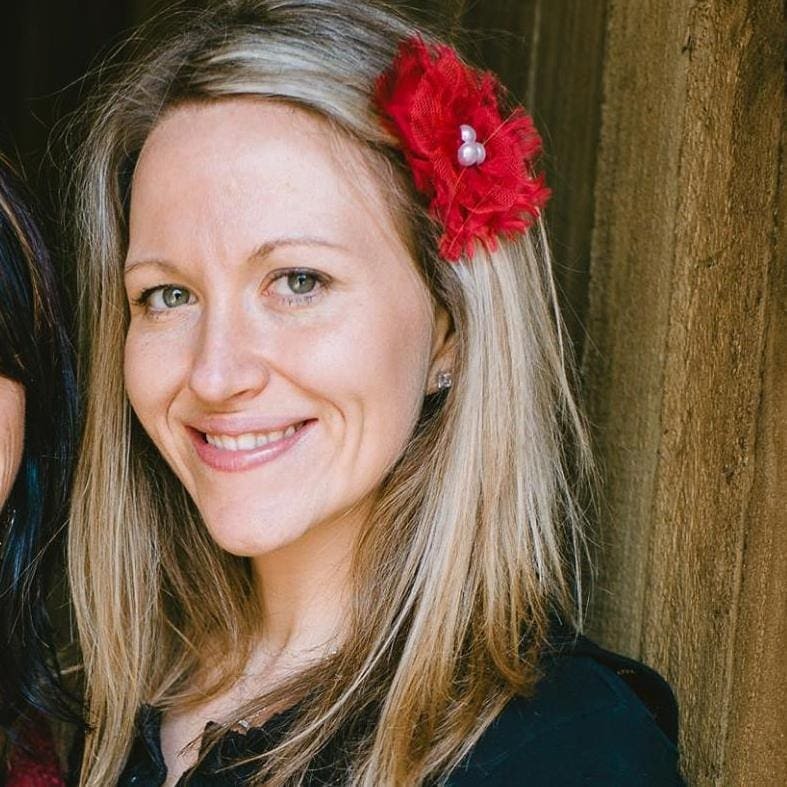 I’m not complaining – I love it! 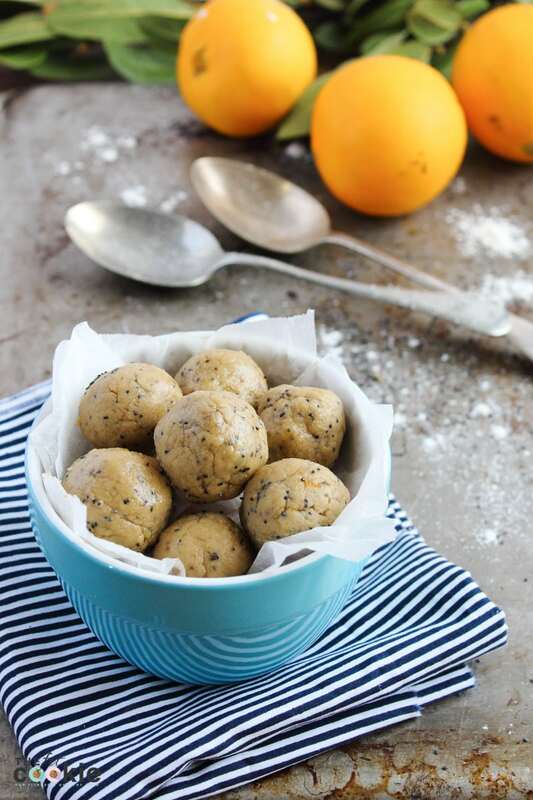 So with a bag full of fresh, home grown oranges, a sad looking banana and a craving for something sweet – Orange and Poppyseed Protein Bites were created. 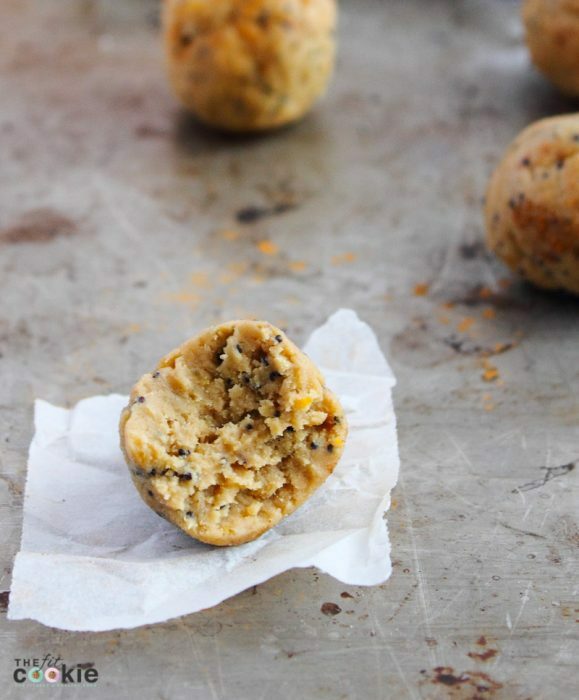 These are fabulous little bite sized snacks that are sweet, easy to make… and full of healthy ingredients. You can make them and eat them straight away or store in an airtight container and store in the fridge for a day or two. Just like bananas go brown, these will go darker and turn a brown color the longer you leave them – they are still totally edible. What do you think is the best and worst thing about holidays? Even writing that sounds wrong… there is nothing bad about sleep ins, snacking and coffee dates! 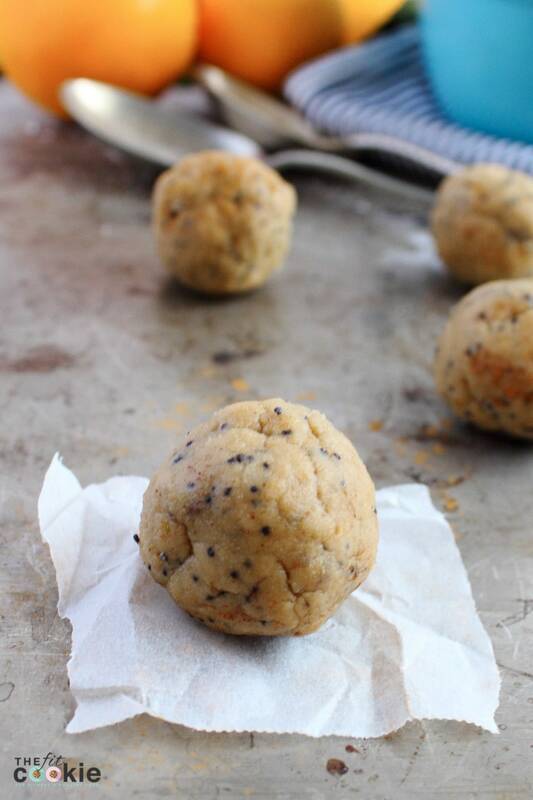 Place the poppy seeds in a small microwaveable dish and add the milk/water. Microwave for 1 minute. 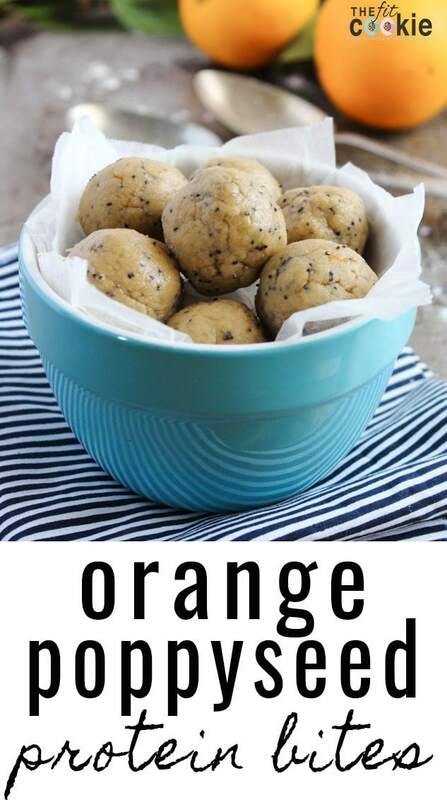 Mash the bananas up until smooth, add the orange zest, vanilla essence and protein powder and mix. Add the poppyseed mix and mix to form a dough. Depending on how soft the bananas are, if needed add more protein powder to form a harder dough.